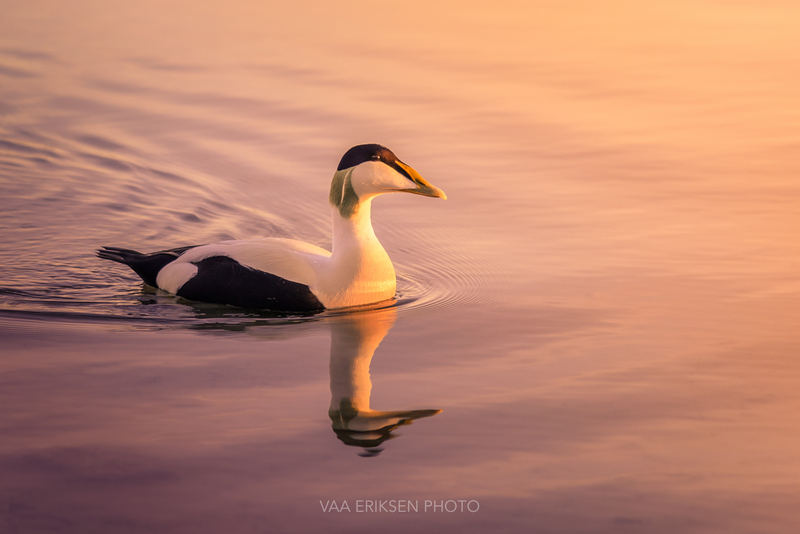 A male Common Eider swimming into the evening light at Hafrsfjord in Stavanger. 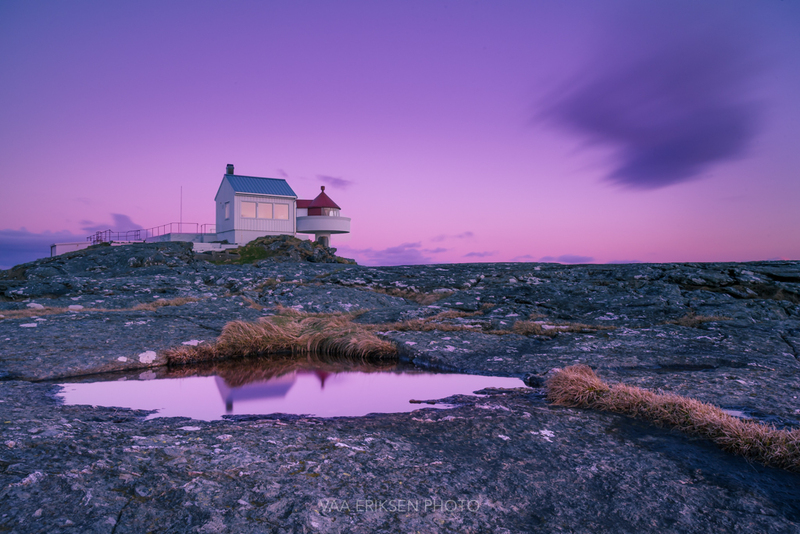 A purple evening over old Fjøløy Lighthouse. 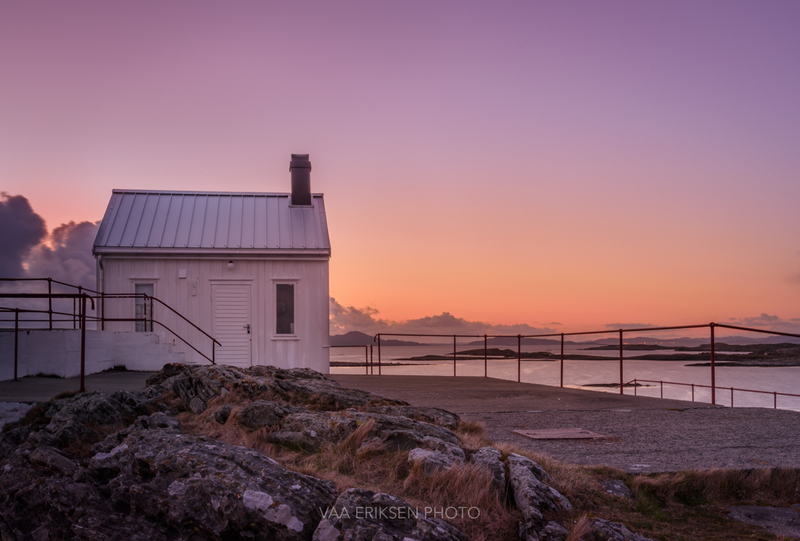 The lighthouse was first constructed in 1849 and was only lit a few months of the year during herring fisheries in the winter. 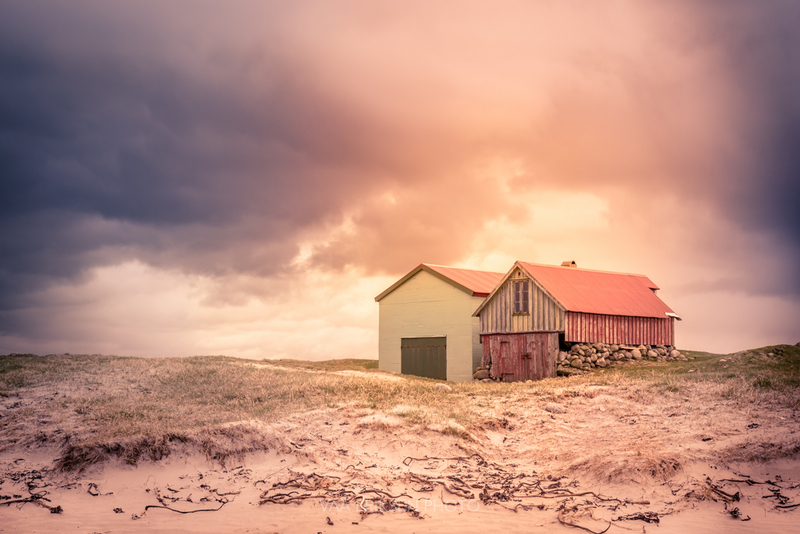 This heritage lighthouse is now automated – as most lighthouses along the Norwegian coast today. Enjoying an evening making pancakes on the fire while waiting for sunset. 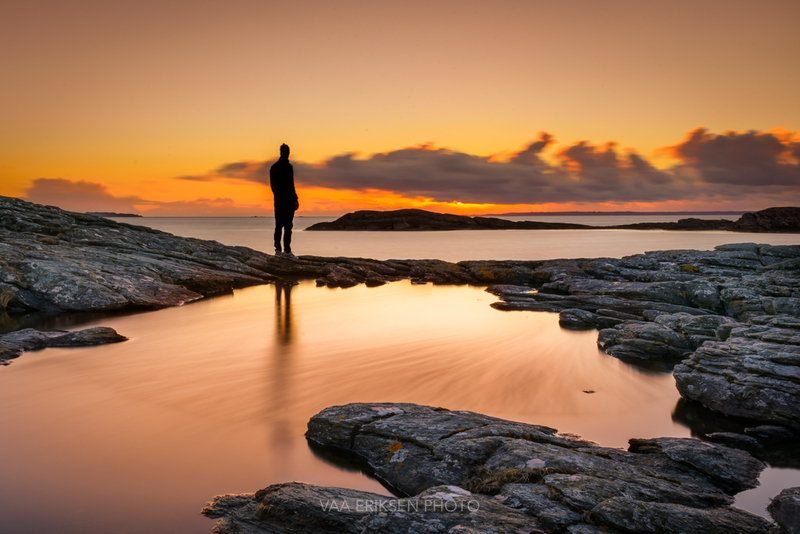 Sky above, Earth below, Peace within. 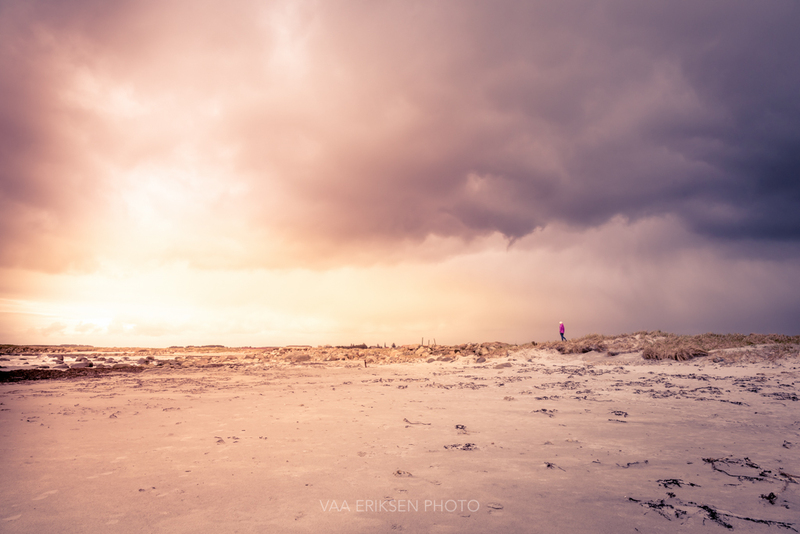 For a few minutes a dramatic dark cloud passed by while the sun was still shining through a few cracks. It was a delightful Surprise to discover how great the combination turned out. 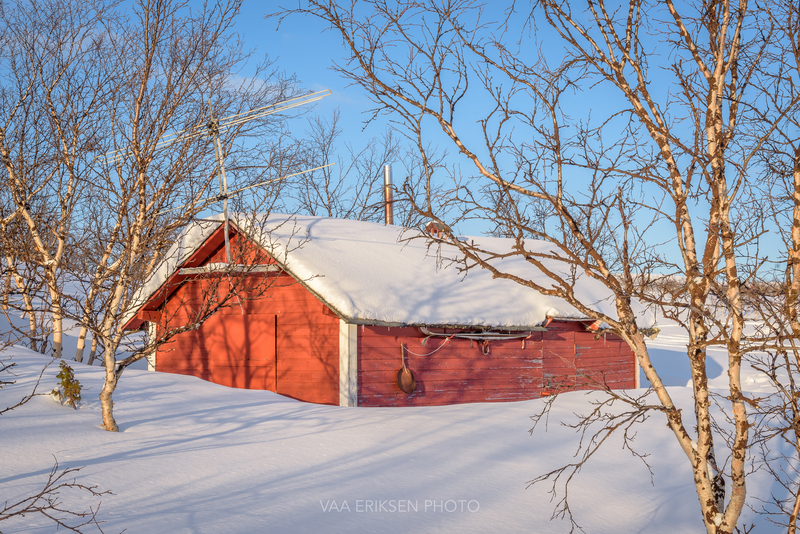 Grandpa’s hunter cabin in the mountains. 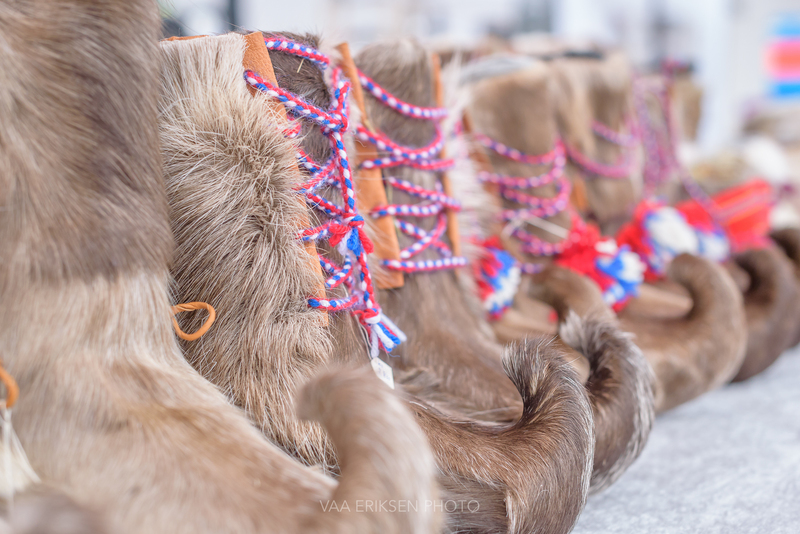 ‘Skaller’ is the Norwegian word for traditional sami footwear made from reindeer fur. You fill them with grass and will have warm feet all winter. 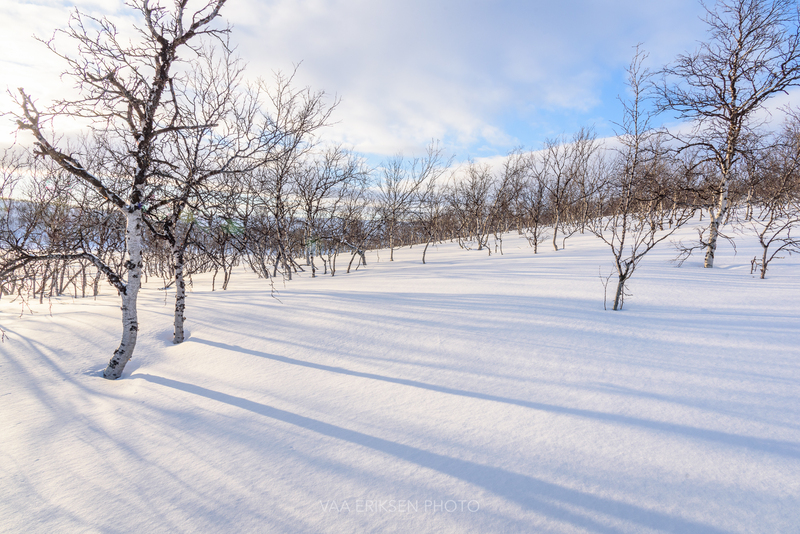 Mountain birch creating playful shadow patterns using the snow as canvas. When all you want to do is keep running! 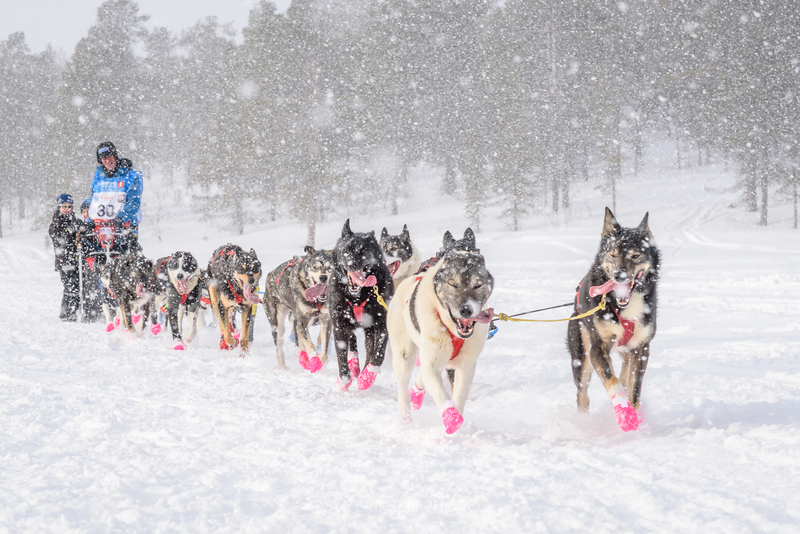 From Finnmarksløpet, the world’s northernmost sled dog race, taking place in arctic Norway.